Length 4in. Diameter 5/8in. Weight 0.8oz. Paracord Lanyard. Solid inside. Drilled attachment. What is it? 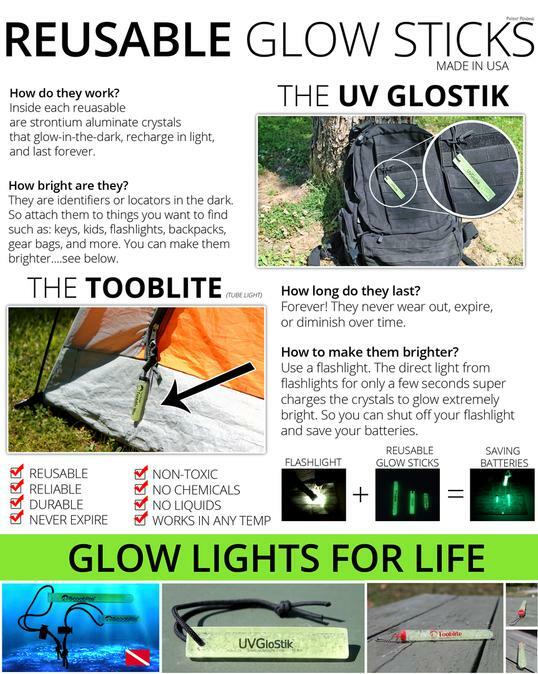 A reusable/ rechargeable glow stick! They glow as identifiers in the darkness all night long, recharge from any light source, and are reusable over and over again forever. They never wear out or degrade over the years. 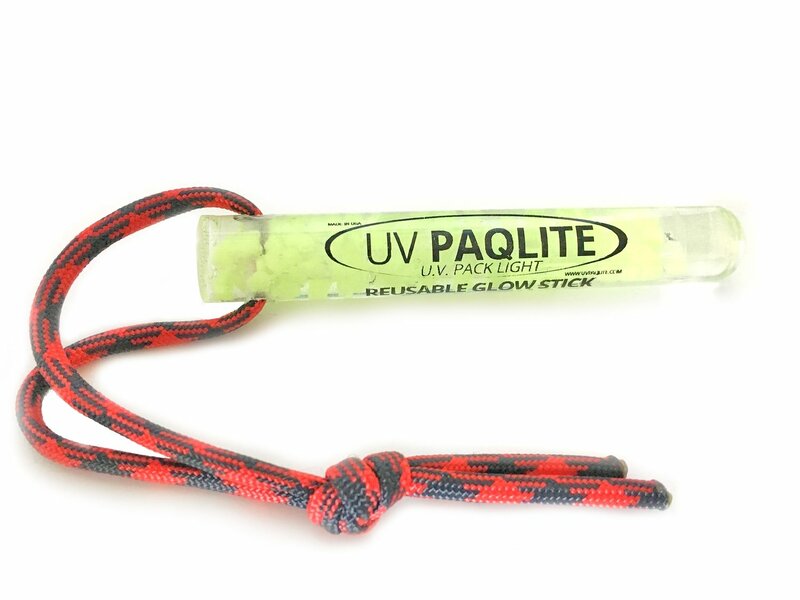 How Bright Are They?All of our glow sticks are designed to be markers/beacons/locators in the dark. Attach them to items you need to easily access in the dark. They are not designed to illuminate space. 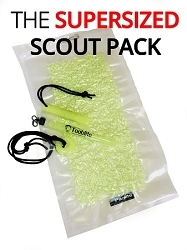 Suggested Uses: Attach Tooblites to items you need to find in the dark such as: kids, keys, flashlights, backpacks, gear, fire starters, etc. I bought this at the Mother Earth News Fair in TX. I love it. Had the Tooblite already but this one is much better.